In which Chris discusses the practise of unsporting booking for freak attraction purposes. First, let me reassure you that I don’t mean Colin Fletcher – he’s a great fighter and by all accounts a top bloke. The Freakshow I refer to is the tendency of MMA promoters to book a fight that is worst than dubious from a sporting point of view, but can draw viewers out of sheer, freakish curiosity. As a sport, Mixed Martial Arts is in a constant battle with the image that it is basically an unsavoury carnival attraction, on a par with bare knuckle boxing or laughing at small and/or disabled people. The more that the sport is run and promoted AS A SPORT, with competitive fighters working their way up the card through the universally understood mechanism of WINNING and vice versa, where evident mismatches are avoided unless as part of a tournament, the the more the sport will be accepted and more money and opportunity will be available for all. However, it’s a constant promotional temptation to book a fight that will attract media attention, perhaps attract more fans in the short term on account of an ageing star or gimmicky difference in size etc. At the end of the day, promoters are just trying to make money (usually struggling to break even) and the opportunity to get more bums on seats at the cost of some credibility must be tantalising. Let me give you an example, although I don’t want to name names, because I’d rather not give the show in question any publicity. Imagine a bout between two UFC veterans in their forties, both of whom were once at the very top of the sport. One has a record over the last ten years of 3-7 and hasn’t fought in almost two and a half years. The other has a record of 6-1-1 over the same time period but hasn’t competed in almost five years. Is that the kind if bout that any self respecting, conscientious promoter should be booking at all, let alone as a main event, featured match? Of course, when the promotion in question has only existed for two years and managed to choose a moniker which allows it to market itself in such a way that it could easily be mistaken for the UFC, I guess self respect is out of the question. I understand all the countering arguments, that booking a ‘name’ main event gives opportunities for younger fighters on the bill, but lets be honest there are plenty shows that avoid gimmicky booking and even on those events that do use it, the spotlight on the freakshow tends to mean any excellent work by the rest of the athletes on the card goes unseen by any but those who would have been paying attention anyway. So what’s the point, other than filling the pockets of a less than scrupulous promoter? So promoters please, think of the long game. Build a strong brand based on competitive, legitimate action. Don’t try to piggy back on more established brands and grab paydays on the name of fighters who shouldn’t be encouraged to lace up. Fans, the same goes for you. There will be a local promotion near you that is doing it right, be it Resurrection Fighting Alliance, Shock N Awe, Vision or Cage or whoever. Go see them, rather than the ones who market their event like a cut price pro wrestling knockoff. When you think of Scandinavia, you can’t help but think of the Vikings. From their compelling mythology to the image of ship borne reavers and intrepid explorers crossing the broad oceans in search of plunder and new lands is an enduring and inspiring one. 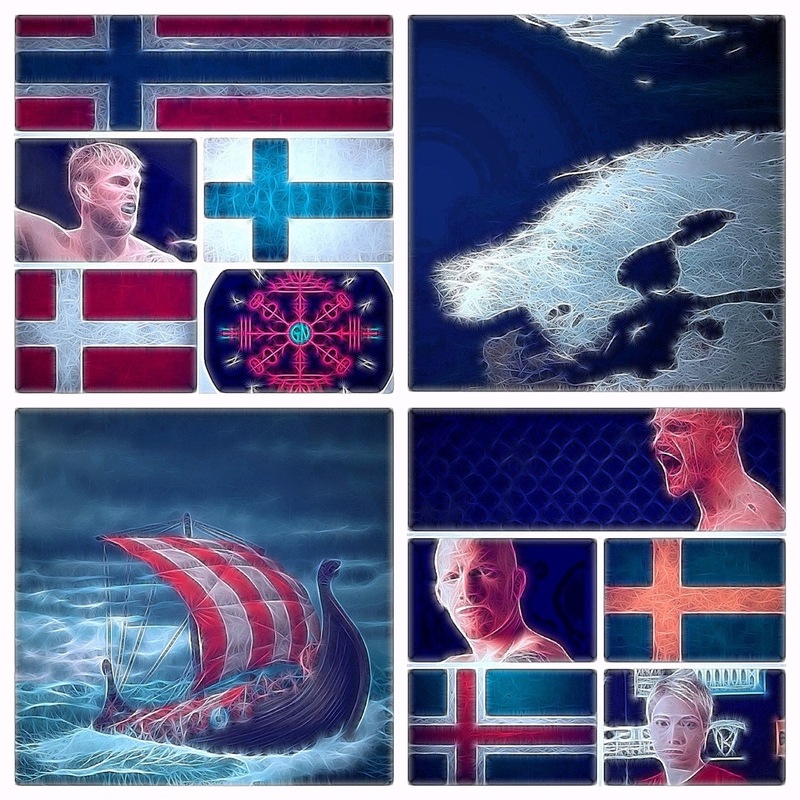 Of course, there’s a lot more to Scandinavia than that, including beautiful scenery and progressive governments but you have to think that the physical and spiritual successors of the Vikings would have a real contribution to make to the fast growing sport of MMA, and so it is. With the UFC making their second trip to Sweden this week, I thought it was a good time to have a look at MMA in Scandinavia. There is a stark difference between the individual nations of the region in their approach to MMA, with thriving scenes in Sweden, Finland and Denmark and even a healthy scene in Iceland contrasting with the sport being outlawed in Norway as the country enjoys a law where sports that encourage knock outs (as opposed to having them regularly happen by accident) are banned. There are moves to change this, with Norwegian government officials and activists like the NMMAF working towards getting the sport legalised. Of course, there are martial arts clubs in Norway like everywhere else and there are high profile Norwegian fighters, like former UFC Welterweight Simeon Thoresen (17-4) and former DREAM champion Joachim ‘Hellboy’ Hansen (22-11) who have never been able to perform in front of a home crowd. Right across the border, Sweden is the leading light of Scandinavian MMA with the nascent IMMAF based there and a host of successful, native promotions such as Superior Challenge and Vision FC. Of course, this vibrant scene would be hollow without some talented local fighters and there are more than a few, led by top UFC contender Alexander Gustafsson (15-1) who’s progress to main event status in the UFC has facilitated the promotion’s forays to Stockholm. Lining up behind Gustasson is a laundry list of top (or soon to be top) talents like Tor Troeng (15-4), Mats Nilsson (9-2), David Haggstrom (7-1) as well as up and comers like Sirwan Kakai (9-1) and Pannie Kianzad (3-0). Not to be outdone, both Denmark and Finland have healthy scenes and top fighters of their own, with Denmark boasting companies like Fightergalla and Royal Arena as well as accomplished fighters like consistent UFC top ten welterweight Martin Kampmann (20-6), Kenneth Rosfort-Nees (15-6) and Mikkel Parlo (9-1). Finland is often overlooked by westerners, but in an MMA context this is madness as healthy promotions like Cage and Fight Festival continue to produce interesting shows and a conveyor belt of impressive talent, including current Cage Warriors #1 contender Joni Salovaara (12-5), recent Invicta signee Katja Kankaanpaa (7-0) and others like Anton Kuivanen (17-6) and Tom Niinimaki (18-5). Of course, Iceland isn’t all that big, with a population of just over 300’000 (making it smaller than Greater Glasgow, population wise) compared to be between nine and five million apiece for the mainland Scandinavian nations. However, one gym Mjolnir (associated with the SBG family of gyms but I’ll come back to that) stands out with their top prospect Gunnar Nelson (11-0) impressing in the UFC despite his laconic tendencies. I guess when you win elite level fights without discernible effort and looking like you just woke up, people sit up and take notice. Despite one of its major nations being one of those which holds MMA to be illegal, Scandinavia is a hotbed for MMA, something which can only continue as their promotions are well run, their fighters are talented and hungry and the fans are passionate and knowledgeable. The UFC have noticed, and if you are any kind of MMA fan, you should keep an eye to the North as well – I’d recommend www.mmaviking.com as your best news source there. Great site. The Vikings made an impression around the world, and Celtic fighters like new UFC signing and former Cage Warriors double weight class champion Conor MacGregor and surely soon-to-be-in-the-UFC Robert Whiteford have spent much time as team mates with their Nordic cousins via SBG and Sweden Fighters learning and improving together. There is a reason that some of my favourite Scots and Irish fighters often use the twitter hash tag #IamtheViking. 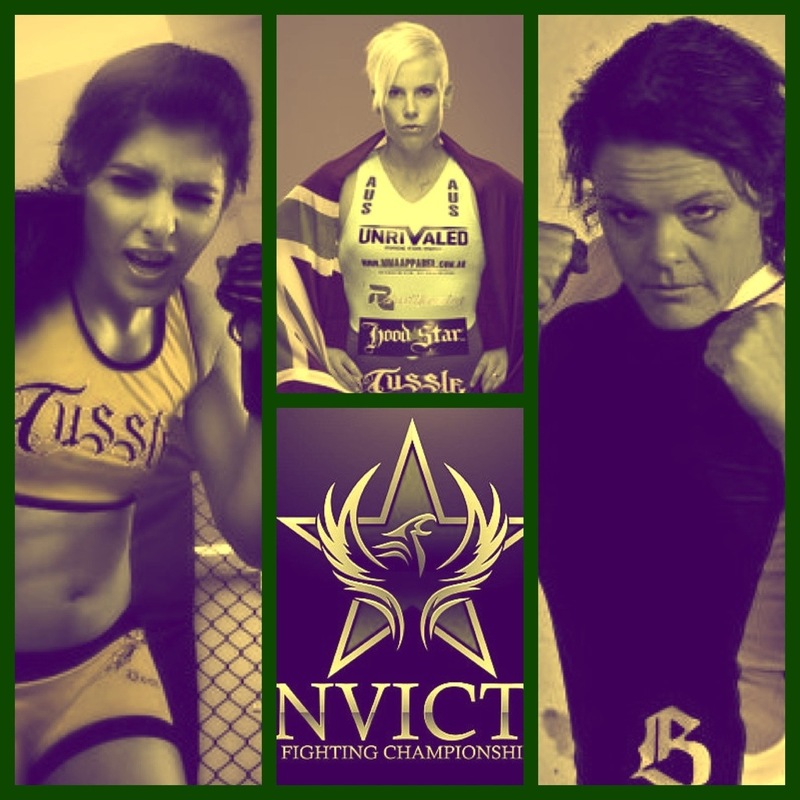 Feature on Invicta FC 5’s trio of Australian fighters. Australia is one of the world’s leading sporting nations, invariably close to the top of the medal table at the Olympics and the first nation to have won the IRB Rugby World Cup twice. As you might expect, Aussies have made their impact on the MMA world as well, with the likes of Anthony Perosh and Kyle Noke making an impact at the top level and even Elvis Sinosic once challenging Tito Ortiz for the UFC Light Heavyweight Title. A new generation of Australian MMA stars is breaking, with TUF winner Robert Whittaker impressing in his UFC debut and contenders like undefeated Ben ‘Manimal’ Wall surely soon to follow. It only fitting that Australian fighters figure as Invicta FC raises the profile of women’s MMA and while Bec Hyatt blazed that trail at Invicta 4, she’s been joined by two fellow wallaby warriors, Fiona Muxlow and Alex Chambers for the upcoming Invicta FC 5 card. Straw-weight Bec ‘Rowdy’ Hyatt (4-2) had been scheduled to face Scotland’s Joanne Calderwood at Invicta 4 but when Claudia Gadelha pulled out of the main event, Bec was the only girl willing to step up and face heavy favourite Carla Esparza to contest the inaugural Invicta 115lb title. Many commentators expected the highly ranked American to deal with the less experienced Australian upstart quickly and easily. However, while Esparza dominated the bulk of the match with her celebrated wrestling, Hyatt surprised many and impressed many more with her active ground game and coming so very close to scoring a TKO win in the closing seconds. Stepping up at late notice to take the favourite to a decision, fighting to the end and nearly sneaking an upset win? That’s the kind of loss that wins you more fans than victories. Bec has used the platform provided by Invicta, combined with some of the most savvy use of social media we’ve ever seen from a fighter to become a far bigger star than her 4-2 record might suggest (hell, she was one of the first fighters to ever give us an interview, back in December – check it out here) in almost no time. In this day in age, it comes across as a little petty to criticise a fighter for trying to connect and when you’ve already established that a fighter has a large and vocal fan base, it’s downright stupid to antagonise them. In any case the meme-o-caust which ensued was a wee bit hilarious. One thing you are guaranteed with Bec is entertainment, be it through a ready supply of sound bytes, a never say die attitude and a commitment to providing ‘ridiculously stylish violence.’ Love her or hate her, she makes you care. The second Aussie on the card is like Bec at the previous show, stepping into a high profile match at late notice. These girls have guts, you’ve got to give them that. Fiona Muxlow (6-2) is an accomplished grappler who started her MMA career by defeating three other girls by submission in a one night tournament. She had been scheduled to make her US debut facing Julia Budd at IFC5 but when Ediane ‘India’ Gomes dropped out of her featured bout with WMMA superstar Cristiane ‘Cyborg’ Santos, Muxlow answered the call to step into centre stage. Coming off a submission loss to highly ranked Marloes Coenen at DREAM 18 in December, Muxlow is a long odds underdog against ‘Cyborg’ but with her grappling pedigree, undoubted heart and the fact that Santos has been out of action for well over a year… that might be a very smart bet to make. Rounding out our trio of Antipodean amazons is Alex Chambers (3-1) who like Muxlow is making her first stateside appearance. Set to face the less experienced Jodie Esquibel, Chambers will be hopeful that her US bow goes better than her Japanese debut she she lost via first round tap out to submission prodigy Mizuki Enoue. Esquibel is a Jackson-Winklejohn product and being undefeated and with a notional home advantage (Kansas is a damn sight closer to Albuquerque than Sydney) she will give Chambers a strong test, but with Alex riding high off a memorable 42 second TKO of the very experienced Mika Nagano, I wouldn’t be at all surprised if she makes a winning start to her Invicta career. They might hail from a land down under, but the Aussie girls are here to get on top, and stay there. Last night we learned who will be the next challengers to Bellator’s 155lb and 205lb title belts along with experiencing a night of quality MMA action and no small amount of controversy. Well, we were in Florida. In the Light Heavyweight tournament final Emanuel Newton and Mikail Zayats served up a back and forth match, with Newton seeming the fresher fighter towards the end en route to an exciting unanimous decision victory. Newton now proceeds to face champion Attila Vegh in a rematch from their 2012 tournament bout where Vegh walked away with a split decision victory. Given Newton’s form and the potential for a five round fight, that is a very interesting fight. The Lightweight tournament final ended in controversial fashion as following a close first round arguably edged by Saad Awad, the second round went in similar fashion until the closing seconds where Awad and David Rickels unloaded on each other with Awad suffering a knockdown right on the bell. The referee stepped into a wave the fighters back to their corner but then decided that as Awad didn’t jump immediately to his feet and do a little dance, that he was calling a TKO. Even Rickels was surprised by the call and Awad – who was never out and could hardly be accused of failing to defend himself intelligently AFTER THE BELL – protested the decision, but the referee stuck by his guns. Rickels advances to face champion Michael Chandler, but in all fairness that fight should have gone to a third round with the fight evenly poised at a round apiece. The main card was rounded out by two tournament qualifiers, with Luis Melo earning his way into the next Welterweight tournament with a third round submission of Trey Houston and Rodrigo Lima earned a unanimous decision over Ronnie Mann (making his Bantamweight debut) to win a spot in the upcoming Summer Series tournament. 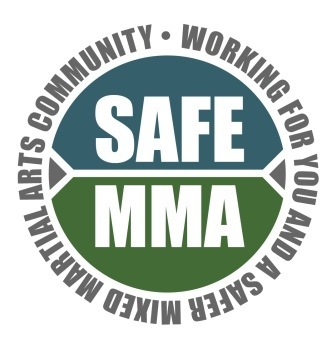 SAFE MMA has been in place since the turn of the year and now that they have had a few months to embed their policies, and a few shows to test them out, all parties concerned met recently to review the progress and discuss any potential improvements. (London.28th March.13) Following successful first Safe MMA events, representatives from Cage Warriors, BAMMA and UCMMA met on Thursday 21st March to feed back on their experiences of their first Safe MMA shows and to initiate improvements. A number of improvements have been proposed to the overall fighter registration process to make the system smoother and as simple as possible to use. A follow up administration and processes meeting took place with 76 Harley Street’s practice manager on Tuesday 26th March to discuss and implement the changes. · It can take a number of weeks to book a GP appointment. · Blood screening times can vary depending on where bloods are tested, if processed outside Safe MMA. · It is not always possible to take bloods in the last couple of days of a weight cut due to dehydration. · In some situations treatment may be needed (such as a short course of medication), which if completed in time would still allow the fighter to fight. Fighters need to be encouraged to register to Safe MMA as soon as they have signed the fight contract, so their blood packs and medical forms can be sent out in good time for them to book a GP appointment. Safe MMA recommends that fighters register at least 3 weeks out from the fight. Except in the case of late replacements, the cut-off date for Safe MMA registration is one week prior to a fighter’s first fight date. Where the fighter elects to submit NHS blood results instead of using the Safe MMA bloods service, the cut-off date for the submission of NHS blood results is 2 weeks before the fight date. There have been a number of incidents where NHS blood results have not covered either Hep B or Hep C and have had to be re-done as late as on the day of the fight. Fighters in some parts of the country have been experiencing difficulties with booking in for GP medicals. Safe MMA now has supporting doctors in Glasgow, Manchester and Newcastle, as well as London who have been doing fantastic work to enable the success of the project. We will continue to build a database of Safe MMA doctors around the country to form a supporting medical network. · Safe MMA has been asked to stipulate more detailed requirements for cageside and post-fight medical professionals, including number of staff required and their qualifications. · Safe MMA has been asked by medical professionals to stipulate standardised advised periods of suspension for different types of common injury. · Advised suspensions MUST be given verbally to the fighter on the night by the post-fight doctor. · Where there has for some reason been an issue and the medic has not advised a suspension, it is the promotion’s responsibility to advise a period of suspension (based on the standardised, advised time periods). · Moving forward Safe MMA will publish the list of suspended fighters and their suspension periods, one week after each Safe MMA event (once Safe MMA doctors have reviewed the post-fight medical paperwork). Dr Mike Loosemore will be meeting with a number of medical professionals giving their support to the Safe MMA project on 10th April, for medical feedback and revisions. Usually if a Safe MMA fighter fights on a non-registered show he/she will need to have his/her bloods re-tested before returning to fight on a Safe MMA show. He/she will also be expected to submit any post-fight medicals from the other show to Safe MMA. However, if the fighter fights on a show that upholds medical standards to the same level as Safe MMA or higher then they will not need to get their bloods re-tested before returning to compete on a Safe MMA show. (e.g. British Board of Boxing, UFC, Cage Warriors’ foreign shows). The fighter will need to submit their post-fight medicals to Safe MMA. Where a Safe MMA promotion runs an event in a foreign territory, the promotion must submit the blood results of any non-registered opponent fighting a Safe MMA registered opponent. If this is done, then the Safe MMA fighter will not need to be re-tested before returning to a Safe MMA event. If a Safe MMA fighter fights on a non-registered show, he can make his own agreement with his opponent for it to be a SAFE MMA registered bout, if the opponent is also happy to register with Safe MMA. This would mean the fighter wouldn’t need to get their bloods re-tested to fight again on a Safe MMA show. · 76 Harley St is employing a new member of clinical administrative staff to support their Practice Manager with the Safe MMA administrative work. · When a new promotion signs up to Safe MMA, another Safe MMA member will be allocated to provide support and advice to them for their first registered show and will be present at the event to offer help and guidance. Safe MMA shows have agreed show support to the fighters who have paid to register for the year by offering them fights above others. In which Chris discusses how best to impart meaning to MMA championships. Championships in Mixed Martial Arts are strange, almost ethereal things. Most have relatively brief lineages, especially when considered against more established sports and have no set way of deciding challengers. 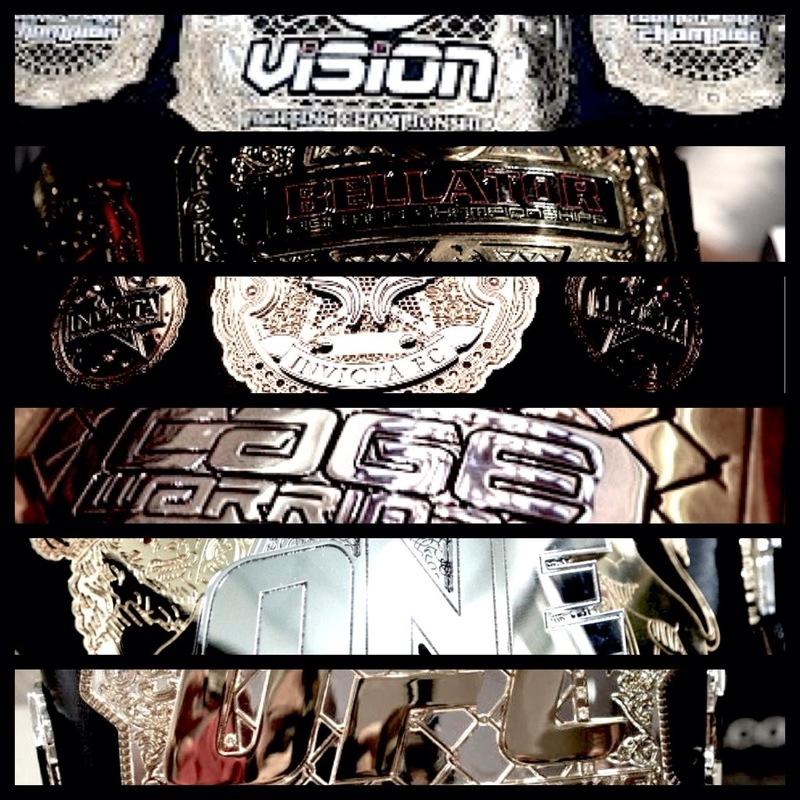 Even the most popular and established MMA organisation in the West, the UFC is only on it’s thirteenth heavyweight champion, over seventeen reigns and a little over sixteen years. Of course, these annual tournaments aren’t quite a fair comparison to MMA but a glance across the gym to the boxing hall of fame shows a list of champions as long as your arm and dating back (depending how you choose to mark ‘legitimate’ world champions) as far as 1885. Boxing shares a problem with MMA in that each organisation crowns it’s own world champion, with only six ‘undisputed’ reigns since the 1960s and there is rarely a set method of becoming the next contender, with politicking between governing bodies and fighter management leading there to be a great deal of confusion and argument about who is THE champion in a given division or who the next challenger should be. In any case, in terms of becoming established, MMA is playing catchup, and doubly so for those more recent promotions who’s titles are of an even younger vintage. So, how do you go about making your title MEAN something, rather than just being a rather gaudy trophy dished out by a promoter to their currently biggest drawing star? Hang on, that’s pro wrestling I’m talking about isn’t it? The answer should be simple, in that your championship is originally decided by a bout, or better yet a tournament between your best competitors in a weight class. After that, it is defended against the most deserving challenger, in terms of being perceived to be the biggest threat to the champion, holding the longest/most impressive winning streak etc. Well, when you throw a business model dependant on fan attachment to individual fighters rather than established tournaments or teams, in a developmental sport where some of the most effective means of victory are not the most popular and add in the injury risk of a combat sport, yeah it is. As has long been the case in boxing, MMA promoters are often drawn, by sheer financial pressure/temptation to smooth the path to the top for popular or exciting fighters. This means that the number of wins required for an exciting striker or compelling personality to get a title shot tends to be markedly less than for a mild mannered, effective yet dull grappler. The likes of team sports, tennis and even conventional martial arts tend to decide their champions via regular, often annual tournaments which have a meaning and cache all their own but of the major MMA promotions these days, only Bellator stick to a strict tournament structure and the promotion has suffered for its commitment to a rigidly credible format. The nature of MMA has caused top ranked competitors to be removed through injury, finals to be delayed and generally meant that we don’t get the nice, clockwork progression to crowning a tournament champion. Furthermore, the need to crown a new tourney winner to select the next no.1 contender has led to the champions being left without opponents for long periods of time. The most title defences ever in Bellator are by current Welterweight champion Ben Askren who has defended his belt three times in his two and a half year reign. Indeed in less active divisions, it’s been common for Bellator titles to remain undefended for years at a time, with Hector Lombard defending his middleweight belt once in the span of almost three years. This inactivity is bad for both champion and promotion, and has resulted in champions fighting elsewhere to get a paycheck while waiting for a title match. This in turn has twice resulted in champions LOSING in other promotions, reducing the importance of the Bellator belt and muddying the neat lineage. As such, it’s no surprise that most promotions, including the UFC select the no.1 contenders in a ‘best fit right now’ fashion, theoretically ensuring a steady stream of title defences. However, in the UFC alone, the most recent (and next scheduled) Light Heavyweight title defences is against a fighter without a win in that division for many years, the last welterweight title defence was against a fight coming off a loss and a year long drug suspension, four of the last six lightweight title defences have been against fighters not coming off a win and the last featherweight title defence was against a fighter coming off a 0-2 streak. In total, of the thirteen UFC title defences since the start of 2012, almost a third have been against challengers not coming off a win, or have not competed in that division for years. Of course, the call for rematches and popular, controversial fighters talking themselves into title shots all equates to money at the gate, while promotions are doubtless motivated to ‘save’ events beset by the late withdrawal of a title challenger by plugging any willing fighter into the role. Nevertheless, it does result in fighters who have been actually building winning streaks (Alexander Gustafsson, Johny Hendricks, Ricardo Lamas) being overlooked for mouthier or more high profile opposition. Can you imagine if an underdog team had carved their way through the FIFA World Cup, but didn’t get to play in the final because a larger nation would draw more TV viewers, despite losing in the semis? Can you imagine Roger Federer demanding that he face Andy Murray in the Wimbledon final because he called him names, rather than Rafael Nadal who actually won the other semi? Can you imagine the US PGA letting Tiger Woods compete at the weekend, even though he missed the cut, just because he’s a big name? The answer is simply no. Normal sport doesn’t work like that. However, MMA is not a normal sport. The pressures of a lineal title in a combat sport, which is promoted on the basis of individual matchups, rather than team affiliations and/or well established tournaments mean that it will never be as simple as it is for soccer or golf. We’ve already covered the problems with fixed tournaments in MMA, but it’s worth mentioning that irregular tournaments can be a great way to decide new champions, or build stars or contenders without having to worry about the eventual winner defending a lineal belt. PRIDE was characterised by it’s Grand Prix tournaments and similar formats have been used by the likes of DREAM and Strikeforce to good effect. Even the UFC have used brackets when crowning their new Flyweight champion, a tactic which will be shared by Cage Warriors this summer. Of course, the decision to run tournaments or Grand Prix on an ad hoc, or even annual basis is no full solution for the ongoing issue of selecting regular credible no.1 contenders. While the pressure to select the ‘biggest money’ fight at all times will always weigh on the mind of MMA promoters, I feel that it is important that promoters try and build their titles by ensuring they are defended against one of the most credible, deserving fighter’s available. After all, a title which is regularly defended against opposition who are coming off losses, have been fighting in another weight class or are generally not considered serious threats to the champion lose their lustre. A well booked title will confer meaning (and thus financial success) on the matches it is contested in, almost irrespective of the relative box office of the fighters concerned – but a credible challenger should always bring a certain degree of box office anyway. There is a real value in being able to say, with an honest, straight face – that your champion is the best in the world (or region) in their weight class and the best way to ensure that is to ensure that the belt is defended against the best possible challenger. So, aside from the occasional gimmick of tournaments/Grand Prix, or the last minute need to replace a booked challenger who cannot fight for whatever reason, I’ve put together some brief guidelines that I think MMA promotions should try and hold to when booking title matches. 1. The challenger should be on a winning streak of at least 2-0 in both the weight class and promotion concerned. 1. Dominant reigning champions in one division make acceptable no.1 contenders for the weight class above or below. 2. Fighters who have been competitive in a higher weight class or more prestigious promotion are acceptable no.1 contenders, even if coming off a loss, although ideally they should fight and win at least once in the new weight class/promotion before being given a title shot as this shows more respect the weight class/promotion who’s belt is on the line. That’s not too much in the way of rules is it? However, I do feel that sticking to these simple guidelines would help MMA companies impart meaning to their titles that supersedes the individual promotional hit that comes with a media savvy fighter or hot feud. While its largely true that whatever their previous record, a fighter needs to beat the champ to become the champ, it’s important for the stature of the title and the champion’s legacy that the belt is defended against the best, not necessarily the most profitable opponents possible. Call me idealistic, but if I want to watch the biggest money fights at the cost of all plausibility, I’ll watch WWE. On Friday 5th April, Invicta stage their first ever title defence. It’s a truism that legitimacy in terms of combat sports titles are to be found in the defending of the belt rather than the awarding, as no matter how impressive a fighter’s form was to earn that spot in the first title match, it’s in the retention of a belt that true meaning is conferred. That’s not to say that you can overlook the singular cache of being able to call yourself the ‘first ever’ champion in a certain promotion, at a certain weight class. It’s an accolade that can never be taken away, never be equalled or bettered. 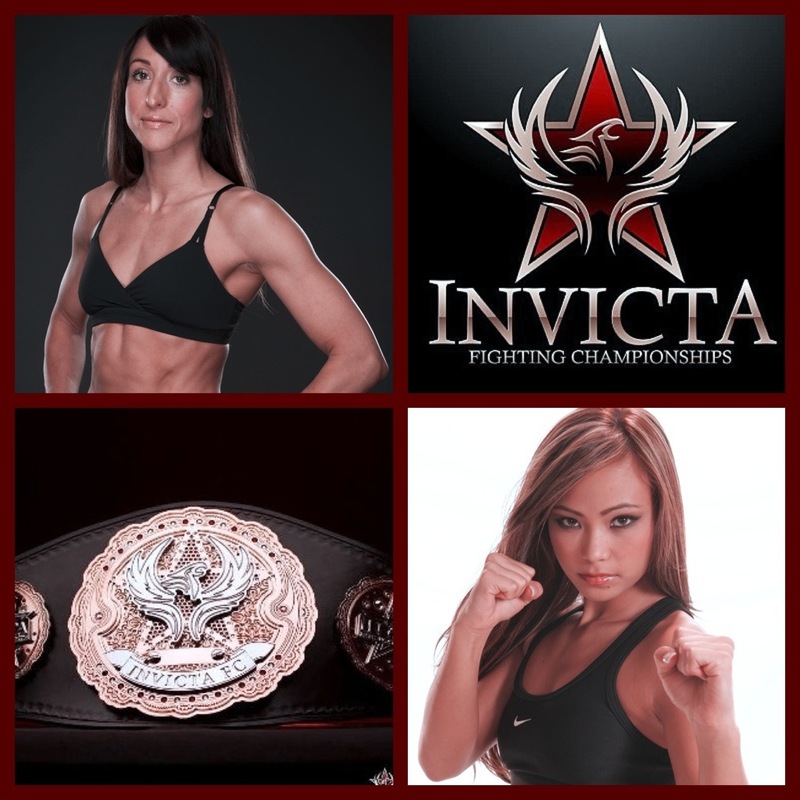 In the case of Invicta’s first ever Atomweight (105lbs) champion, Jessica Penne (10-1) her title has more lustre than most newly minted belts, as in order to win it she defeated the current Jewel’s champion in that weight class, Naho Sugiyama at Invicta FC3. In handing the Japanese fighter her first professional loss, Penne also notionally added the lineage of the Jewel’s title to the Invicta belt, with a linear line of defences going back to Sugiyama’s one night tournament victory in 2011 and one further defence. So, this may be the first defence of the Invicta title, but the belt already has meaning beyond it’s brief history. Make no mistake, this is THE 105lb title in WMMA. Penne has marked herself out as one of the pound for pound elite in women’s MMA, with her only loss coming via decision to Zoila Frausto-Gurgel, who enjoyed a significant size advantage (tellingly, Zoila also competes at Invicta FC 5 but at 125lbs) and rides a three fight win streak with a history of finishing fights (eight stoppage victories in eleven bouts) with her chokes proving especially inescapable. Challenging her for the title is Jackson-Winklejohn fighter, Michelle “The Karate Hottie” Waterson (10-3) who boasts a four fight win streak and an eerily similar win record to Penne – 6 submission wins, 2 TKO wins, 2 decisions, but with an apparent preference for armbars over chokes. Unlike Penne, Waterson has tasted defeat via stoppage in the past and while she has fractionally more pro MMA experience despite her younger years, Penne has performed at a higher level, facing the likes of Sugiyama and Gurgel. As we’ve come to expect from Invicta fighters, especially in this lightest weight class both of these girls are very technical, fast paced and always looking to finish. Don’t blink for one second. As far as prediction goes, despite the usual reluctance to bet against one of Greg Jackson’s always well prepared fighters, my head says Penne. However, Waterson has been in a Megadeth video, so she’s got my heart. Either way, this is gonna be a fantastic fight of historic significance to the whole of WMMA.